The letter is not surprising to this writer, it is true to form for a certain group of American Jews. 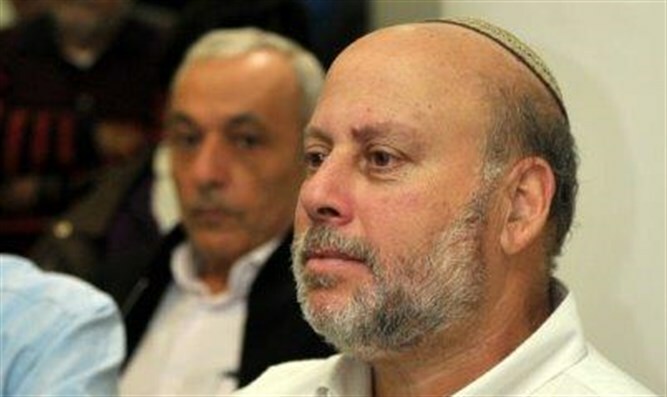 It was just a matter of time before self-appointed prominent Jewish leaders in America got organized to send a letter to PM Netanyahu claiming that Israel's int'l standing is in peril due to the recent judicial report by retired Supreme Court Justice Edmond Levy who concluding that Israel is not occupying Judea and Samaria and that there is no legal prohibition to populate the land east of the 1967 "border" (actually 1949 Armistice Lines) with Jewish residents. Beyond the issue of the report itself, why have US Jewish leaders become so agitated and disturbed? "As strong advocates for Israel’s security and well-being as a Jewish and democratic state, we are deeply concerned about the recent findings of the government commission led by [retired Supreme Court Justice] Edmund Levy. We fear that if approved, this report will place the two-state solution, and the prestige of Israel as a democratic member of the international community, in peril," the letter read. Signatories to the letter include philanthropists Charles Bronfman and Lester Crown; Marvin Lender Former National Chairman of UJA; Deborah Lipstadt, Dorot Professor of Modern Jewish History and Holocaust Studies at Emory University; Bernard Nussbaum, former White House Counsel; Richard Pearlstone, former chairman of the Jewish Agency; and Rabbi David Saperstein, director of the Religious Action Center of Reform Judaism. The signatories insist on ignoring the most basic historical facts, preferring to perpetuate the false and invented narrative that pre1948, the land already belonged to the Palestinian Arabs which is a gross historical fabrication. The signatories also refuse to acknowledge that the land was allocated for a Jewish National home by the League of Nations and then by the United Nations in a partition plan that Israel accepted and the Arabs rejected. Why are these self-proclaimed Jewish leaders losing sleep over a judicial report that simply reiterates the truth about Israel's legal standing in Judea and Samaria? These Jewish American leaders surely are aware that Judea and Samaria are not "occupied" -- a term that falsely suggests they belong to someone else. Objectively, they are at best "disputed" land awaiting determinations of sovereignty in an eventual peace settlement. The last sovereign ruler of the land was the Ottoman Empire, which vanished at the end of World War I. 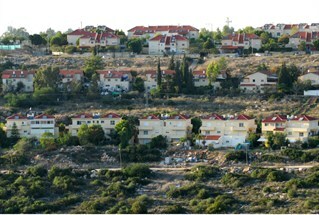 There is no basis in history or law to pre-judge and allocate these lands to the Palestinians. So why do they insist on perpetuating the "occupation" myth, what prevents them from letting go? This kind of irrational belief in an "occupation" that never was and never will be can be better understood within the historical perspective of how Jews in America have risen to the challenge of defending their Jewish brethren when that need threatens their standing as loyal American Jews who toe the line. During WW II , when President Roosevelt brought Jews into his cabinet, they were the kind of Jews who "knew their place" and would not bother the President with such parochial Jewish concerns as saving victims being slaughtered during the Holocaust or advancing a burgeoning Jewish national enterprise in the Holy Land. That was indicative of how American Jewish leadership stays in line. Let's not forget the St. Louis and the "voyage of the damned". Centuries of anti-Semitism have bred in many Jews, especially those in leadership positions, a desperate need to assimilate into America's melting pot, moving away from a primary commitment to their heritage and hiding among the greater population. I am reminded of this unique Jewish inclination to move away from authentic Jewish identification when I think of Jewish celebrities. Names were changed from Emmanuel Goldenberg to Edward G. Robinson, Leo Jacob to Lee J. Cobb, Bernie Schwartz to Tony Curtis, Betty Perske to Lauren Bacall, Jacob Julius Garfinkle to John Garfield. They were changed from Judith Tuvim to Judy Holliday, Benjamin Kubelsky to Jack Benny, Joseph Abraham Gottlieb to Joey Bishop, Jacob Cohen to Rodney Dangerfield, Arthur Leonard Rosenberg to Tony Randall. Even among the more recent, Jonathan Stuart Leibowitz became Jon Stewart. Melt into the melting pot, dissolve if possible. Standing tall and standing alongside the powers that be has always been a weak spot among Jews. With the Presidential elections a toss up, and Obama losing more American supporters everyday, perhaps they are standing tall and refusing to let go of the "occupation" alongside the wrong horse. At times it seems as if they are re-writing the Bible and the Ten Commandments so as to remain in favor in the eyes of the possibly losing side; their self-imposed commandments include “two states for two peoples, or “thou shalt not occupy,” and let's not forget the most basic one: “thou shalt not settle”. What these self-anointed Jewish leaders seem to miss is that, it takes an Obama -- a "transformational figure in history" -- to help transform traditional Democrat voting blocs towards Republican conservatism. President Obama has been accused of "throwing Israel under the bus", by denying the political, historical as well as Biblical, and legal rights of Jews to live in and prosper in Judea and Samaria. The Jewish American signatories of that letter may not be driving that bus, but they are certainly sitting in the front rows, some of them are even enjoying the ride. I would suggest to these American Jewish leaders that they refrain from being overly devoted to the 'two-state solution'. losing their ability to consider alternatives and rejecting anything that varies from conventional wisdom. American Jewish leaders would be wise to be cognizant of the coming Three Weeks and the month of Av, a period when Jews mourn the destruction of the two Temples in Jerusalem. This period is a reminder to the Jewish nation in the belief in one God and the unity of the Jewish nation.